Finally, this last week-end we started working properly on the piece. We had 2 days of intense rehearsals and the work was super fruitful… so many things and ideas came out, just in 2 days! 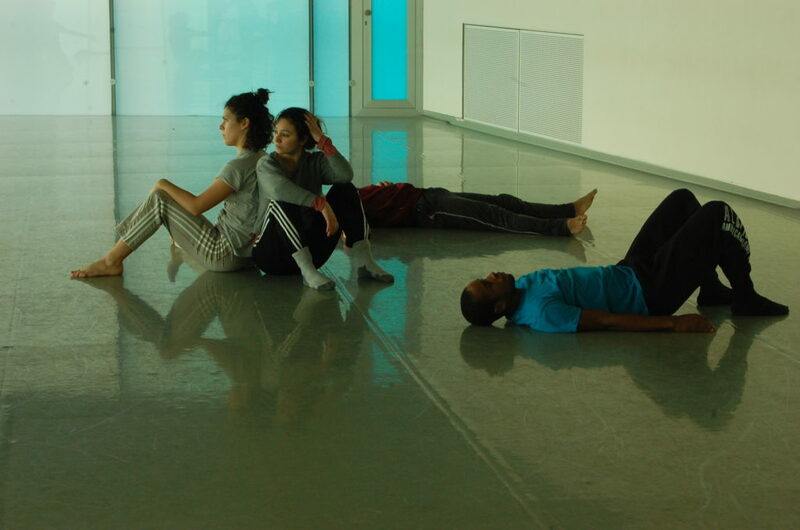 It’s been amazing to come back in a work we explored months ago, and actually it has been even more interesting to see how my brain has digested it after a pariod apart from it, as well as dancers bodies. My work is a lot about memories, sensations, feelings… how we can remember them… and how we can translate them into movement. It’s amazing when they become conscious of what it’s happening, without thinking and worrying too much about it. It’s been great seeing how the dancers have processed it, and how much they have grown in just few months. Now they can integrate in their practice new influences, new experiences, new stimulus, which of course this gives to the work another flavour, and enriches it even more. We have started collaborating with this incredible composer, Mau. I am so glad to have him working with us. I think he understood the essence of the piece and I can clearly see that what it is going to come out from this collaboration will be super exciting. We also had Michelle, our costume designer, coming in studio and have an idea of the piece to start working on the costumes. I am so curious to see what she is going to draw for us!! A special thank you to Emily. It’s a treat for me and us to have your critical eye in space with us. Your feedbacks are always incredibly useful. Have a nice week everyone… and keep on dancing!